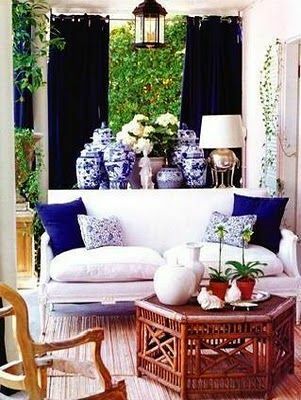 I think I was first introduced to the vivid cobalt blue and icicle white decor combination in a way that I loved when I saw the fabulous, glamorous, and talented Mary McDonald use it on Million Dollar Decorators. Before I saw her arranging the giant ginger jars on the show, I hadn’t really thought it was a look that I would ever adopt in my own designs. It seemed dated and a little bit out of my age range, if you know what I mean. But Mary showed me that you could bail the color combo out of the jail of traditional design and use it in any style of space. Ever since, I have fallen more in love with the combination. I am especially fond of how she styles outdoor spaces with the color pairing which really seem to pop against the verdant leaves and plants. It works in so many decor styles, from traditional to coastal. And it even makes an absolutely stunning table setting. 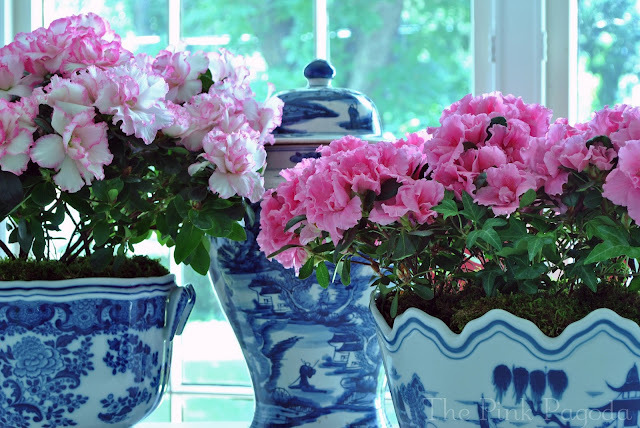 If you have no time to put together a flower arrangement, just place a collection of blue and white ginger jars and pots together on a shelf and add some bright pink azaleas. Boom, you have a stunning arrangement. Done. 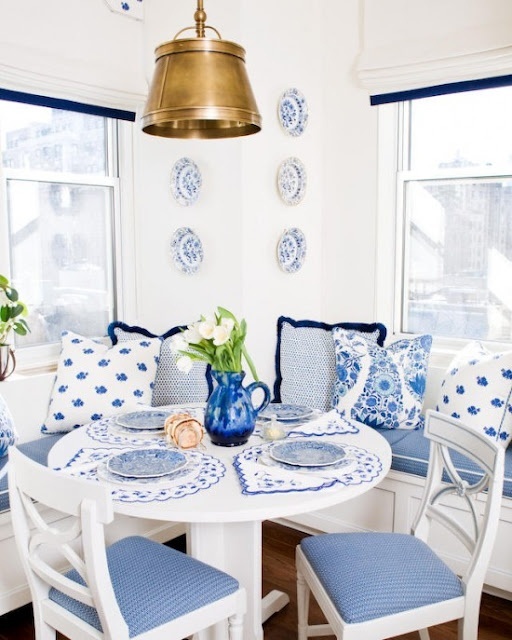 If you are not completely sold on a full room of blue and white, try just adding a pop with one jar or a small dish to catch your beautiful things. 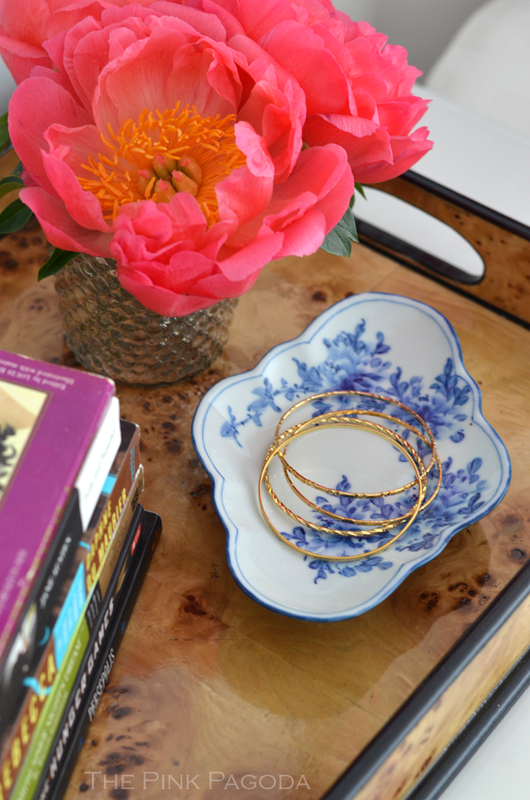 It will brighten the vignette and add a touch of whimsy that makes you smile. And who doesn’t need that? 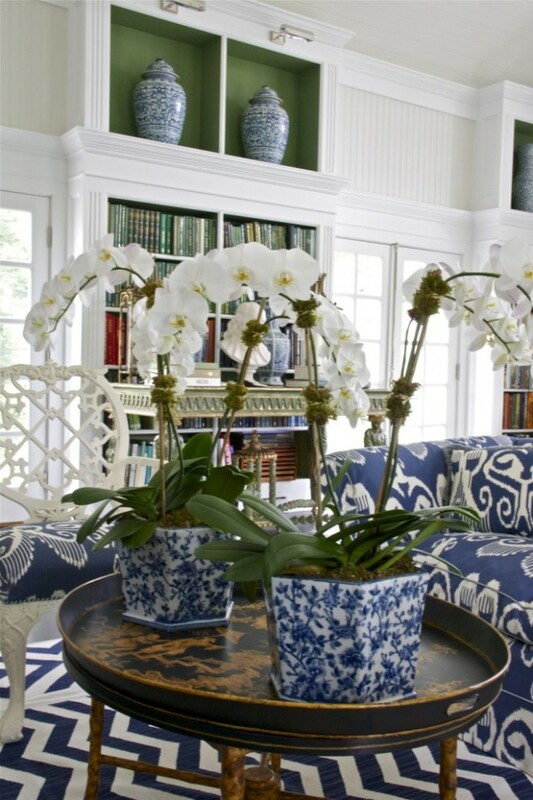 Have you ever decorated with blue and white? Did you plan everything out beforehand, or did you just pick up items as you found them? 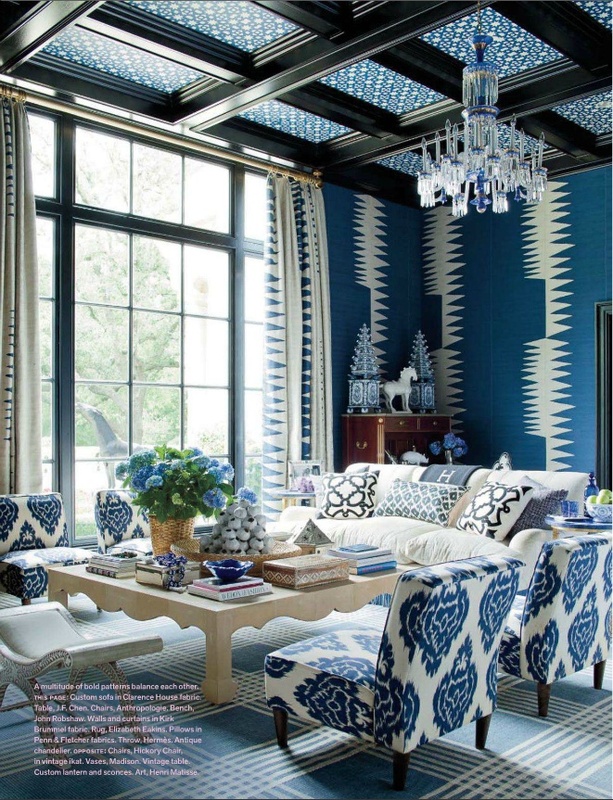 What is your favorite blue and white based room? Tell us about it!